Shenandoah Pharmacy participates in most Private Insurance Plans as well as WV Medicaid, WV CHIP, and Medicare Part D. Payment is expected in full at the time of service. VISA and MaterCard are accepted. If I am not a patient of SCH, can I still get prescriptions filled? In most cases, yes! We are ready to serve anyone coming to our pharmacy! However, we reserve the right to fill prescriptions for controlled substances for SCH patients only. How do I transfer prescriptions to the SCH Pharmacy? With your permission, SCH Pharmacy Staff will contact the other pharmacy and do it for you. Please have your prescription number available when requesting a transfer. Simply call 304.596.2244 and follow the prompts. Be sure to leave the patient’s full name, patient’s date of birth, and drug name(s) or prescription number(s) when calling for a refill. If you are out of refills, we will work with your provider to get another prescription unless it not medically indicated. Please allow 48-72 hours for the refill to be authorized by the clinician in these cases. Do you carry my medication? The SCH Pharmacy stocks all common medications. If you need something that is not currently in stock it can be ordered for delivery the next business day. Why should I use the Shenandoah Pharmacy? When filling prescriptions at the SCH Pharmacy, prescriptions can often be ready by the end of clinical visits. 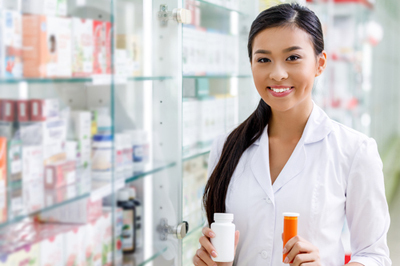 Pharmacy staff and healthcare providers are accustomed to working together to address any medication issues that otherwise would result in delays. Because the pharmacy is part of Shenandoah Community Health, customer out-of-pocket expenses are kept as low as possible. The Pharmacy is operated by Shenandoah Community Health. By filling your prescriptions with us, you will support the mission and vision of SCH to promote health and wellness by providing a Medical Home to reduce barriers to care and ensure access to coordinated care and services.